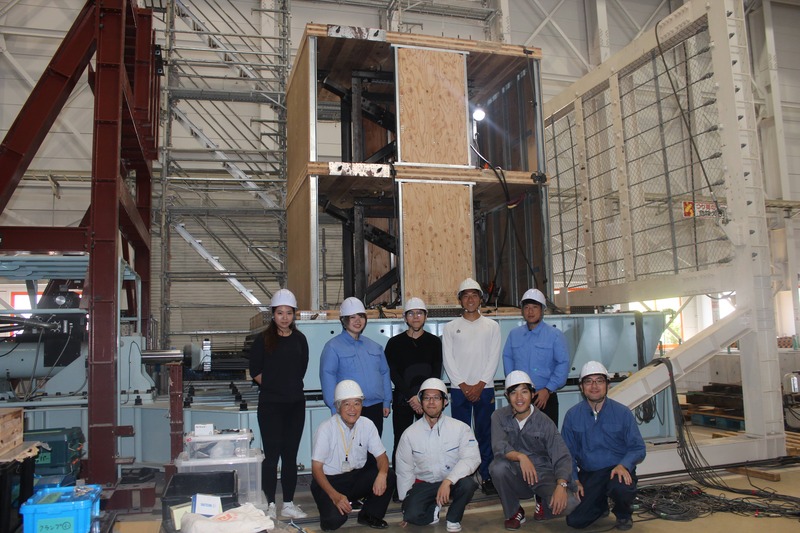 Miyazu Lab conducts research on earthquake countermeasures mainly for wooden buildings including earthquake resistance, seismic isolation, and vibration damping structures. 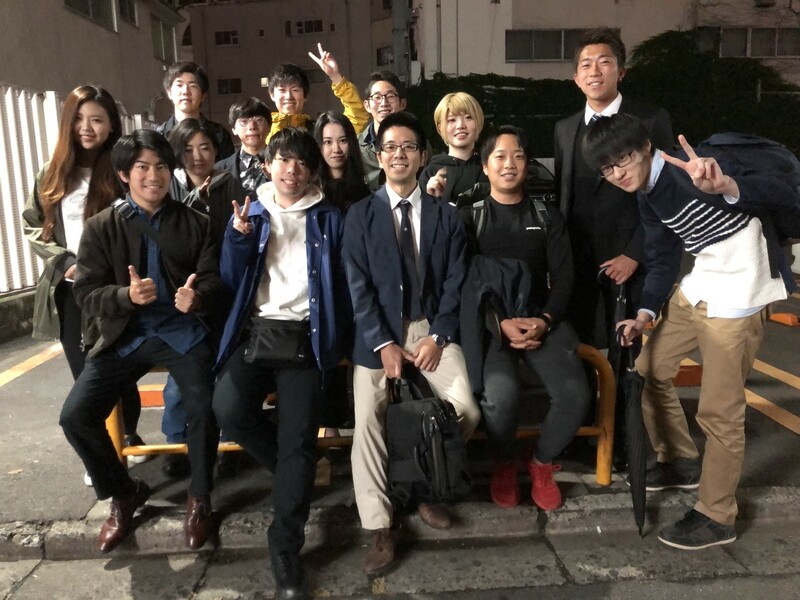 We work over a wide range of construction issues mainly develop earthquake reinforcement plans, development and analysis of damping structure systems, research on base isolation applied to small-scale buildings, optimisation of dampers, potential of building analysis incorporating artificial intelligence technology etc. 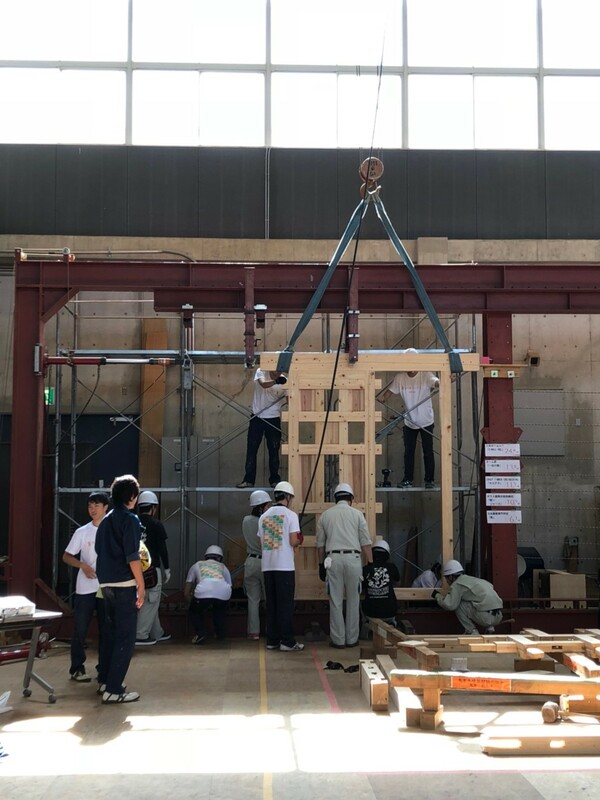 In 2018, we participated in a shaking table experiment by creating a two-storey wooden model in August and in September we participated in the Kabe-1 Grand Prix, a strength-test competition, with our best wall. See here for more information.